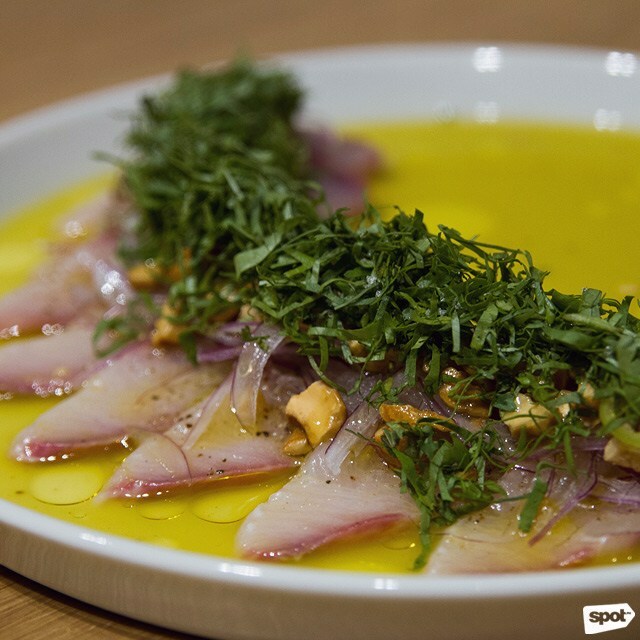 (SPOT.ph) Bonifacio Global City and Uptown Bonifacio continue to be bustling hot spots for great eats, and restaurants are getting more adventurous than ever. 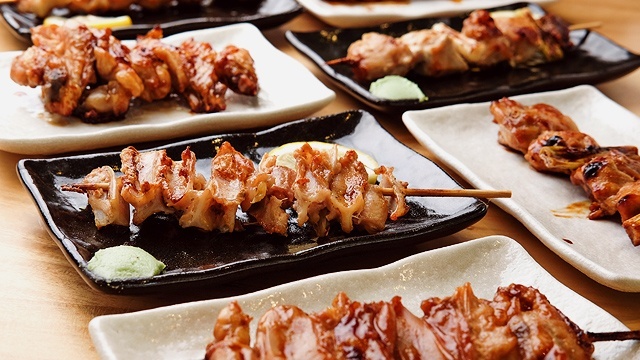 If you’re in the mood for something new, you can have your pick between Japanese-Mexican or South American cuisine. Though if comfort food is what you’re hankering for, there’s nothing quite like old-fashioned steak, fried chicken, or ribs. The Metro doesn't lack in Japanese restaurants, but a Japanese-Mexican place is less common. Well, CHINO MNL has just arrived from Hong Kong to fill that niche. The resto fuses the two cuisines by combining Japanese ingredients and cooking techniques with Mexican recipes—expect street-style tacos like Crispy Fish, the fish fillet light and crunchy like an excellent tempura, and the Wagyu Beef, which features butter-soft Wagyu strips and pickled jalapeño, plus a touch of Japanese mayonnaise and Chipotle. 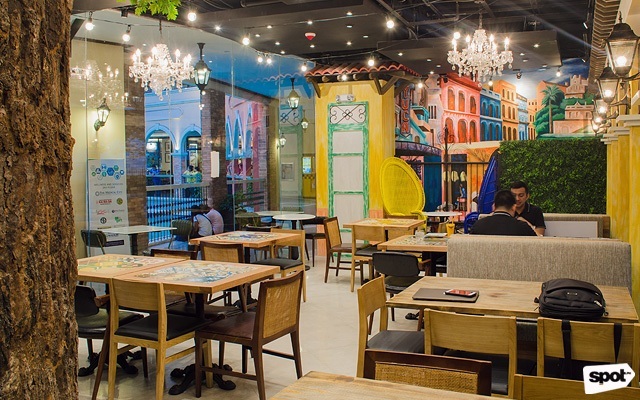 The menu is a refreshingly novel take on classic Mexican fare sure to spice up your next night out in BGC. 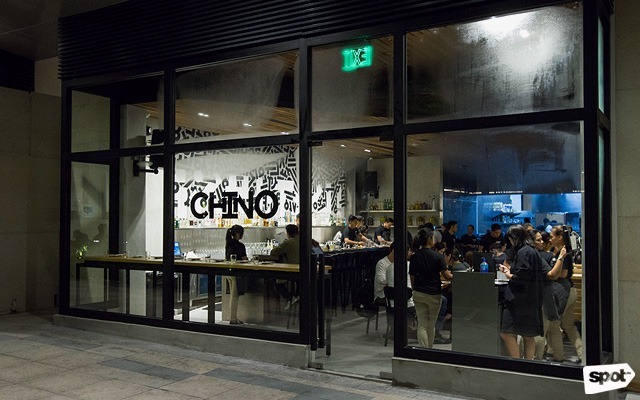 Chino MNL is at G/F One Bonifacio High, 28th Street corner 5th Avenue, Bonifacio Global City. 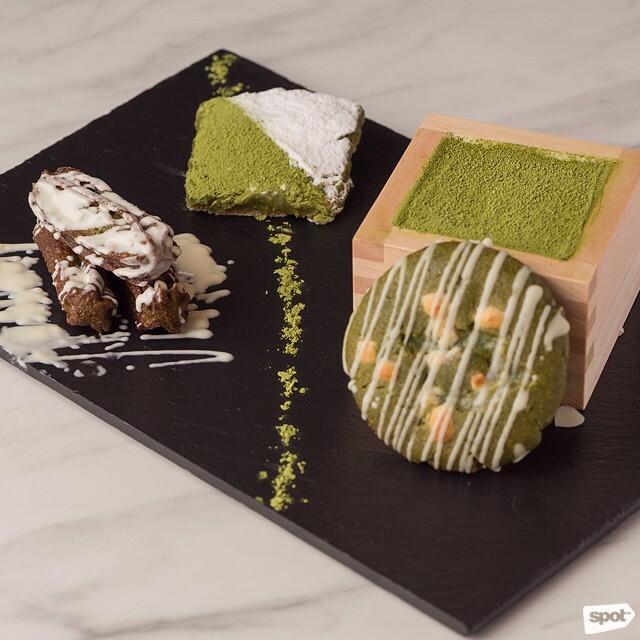 This Japanese café is more than a haven for matcha addicts—though they do have more than enough matcha treats to satisfy that green-tea craving. 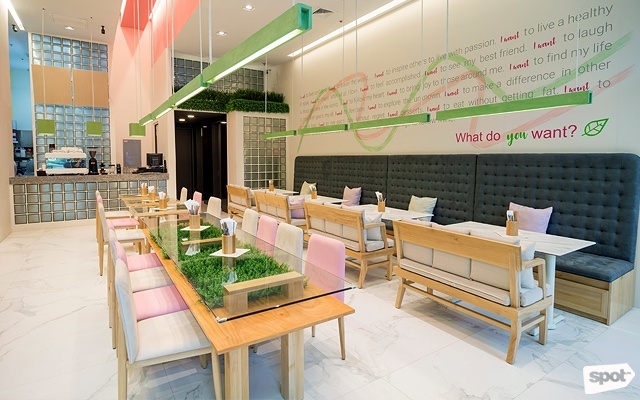 With their pastel green-and-pink motif and motivational quotes, Nomi Matcha also wants to be the oasis you go for when you need a breather from life’s stressful demands. Chill with their matcha drinks, made using only tea leaves from Kyoto, like the Matcha Refresher, a cooler with a citrus tang from calamansi and lime juice. Pair your drink with green-tea desserts like the Legendary Greenies, brownies made using matcha or the Tiramisu Dream. Nomi Matcha also offers savory Japanese dishes like a Longganisa Omurice with a delightfully runny omelette and sweet-savory longganisa. Nomi Matcha is at G/F W City Center, Bonifacio Global City. Chef Josh Boutwood goes back to basics at Savage, eschewing electricity or gas for charcoal made from coconut husks, and oak wood. 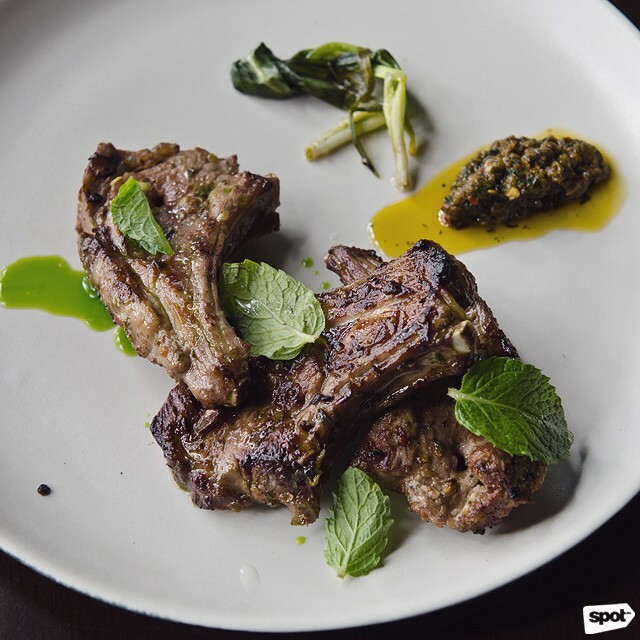 The restaurant may have gotten its name from the return to pre-industrial cooking methods, but it could also be an allusion to the primal cavemen instincts that are bound to come out once once you have a plate of their signature Lamb Chops, Mint & Malt with a lip-smacking mint chimichurri or the King Edward Pork Chop, Mustard Leaf Chimichurri, the chimichurri with a whisper of citrus, and the grilled peaches providing a sweet contrast. Even the Sticky Toffee Pudding, Vanilla Ice Cream wants you to forget politeness for a moment, because you’d be fighting for every last sweet bit in no time. While there’s nothing wrong with tasty yet dainty bites at a fine-dining resto, there are times where you just want to get your hands dirty with good ol’ fashioned ribs and fried chicken. For the latter, you can count on Mimi & Bros. The ribs-and-chicken place whips up a classic crispy fried chicken with a juicy and savory spice that makes us wonder if they somehow got ahold of a certain chain’s secret blend of spices. Nevertheless, you’d find yourself munching on one piece after another, especially when smothered in their milky-rich gravy. The ribs are not to be ignored either. 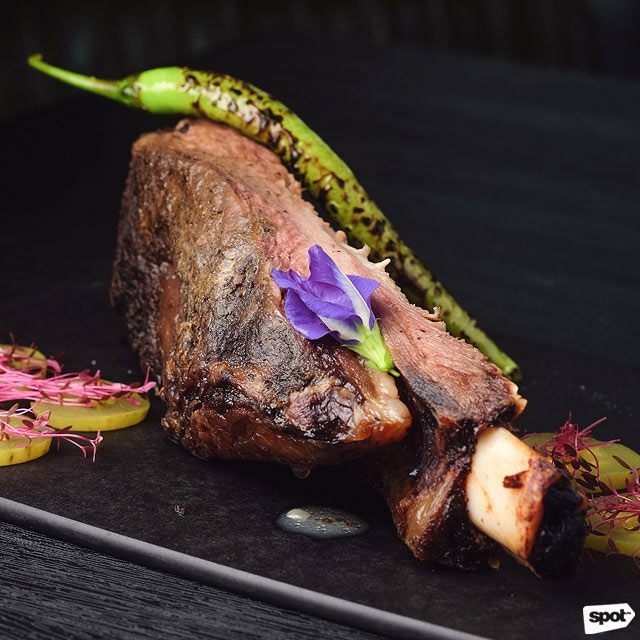 Anything just gets better with bacon, and the Smokey Bacon BBQ Pork Ribs are no exception, but if you’ve got a voracious appetite, have the gigantic 6-Hour BBQ Beef Shortribs, which are served bone-in and features beef that slices like butter. With the promise of a fun adventure and lots of great eats, South America is a tempting travel destination. 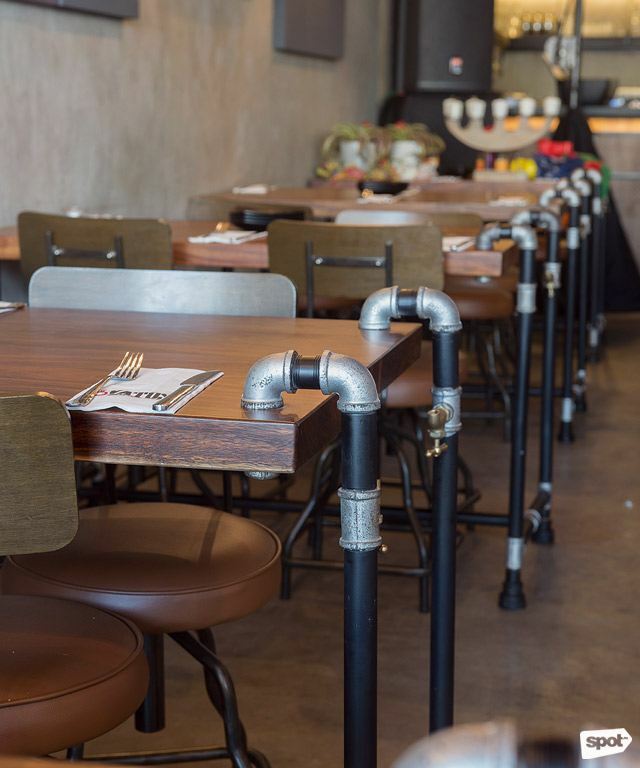 But if you can’t book those tickets just yet, you can drop by Yuca first. 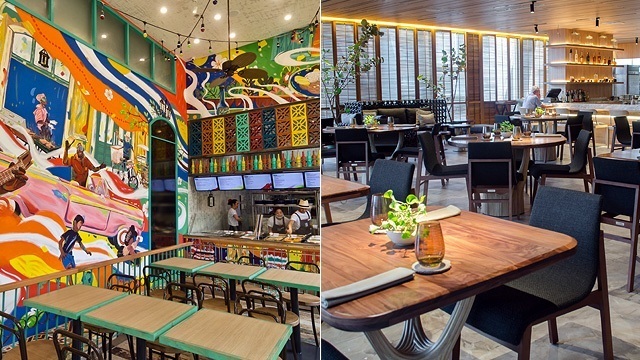 The restaurant celebrates South American cuisine with colorful interiors and equally vibrant cuisine that are a feast for both the eyes and the palate. 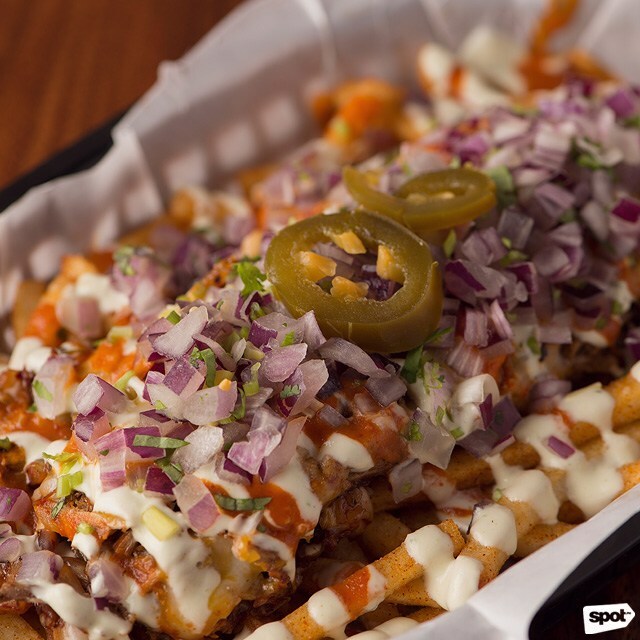 Tio Romy’s Nachos are a scene-stealer, not only for its multicolored mix of potato, purple yam, and cassava nachos, but also for the thick cheese and salsa mix it comes with—served separately so your chips stay crisp until the last bite. 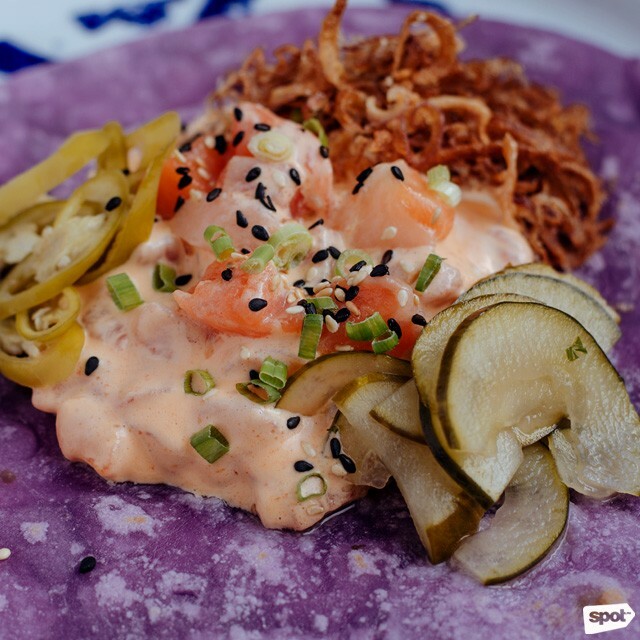 Their soft tacos, like the Pink Taco with an aesthetically pleasing contrast between a purple-yam tortilla and pink salmon, are also picture-perfect and scrumptious. 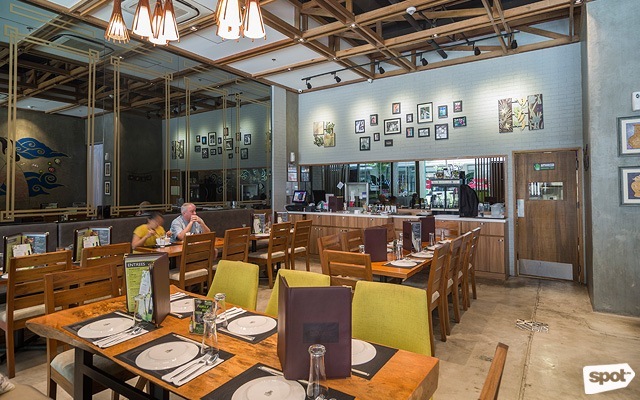 Yuca is at G/F Venice Grand Canal Mall, McKinley Hill, Taguig City. If you’re always traveling to Tagaytay, you’re most likely familiar with homey Vietnamese restaurant Bawai’s, and they now have a branch in Uptown Bonifacio to satisfy your cravings for My Duyen or Bawai’s homestyle Vietnamese cooking. 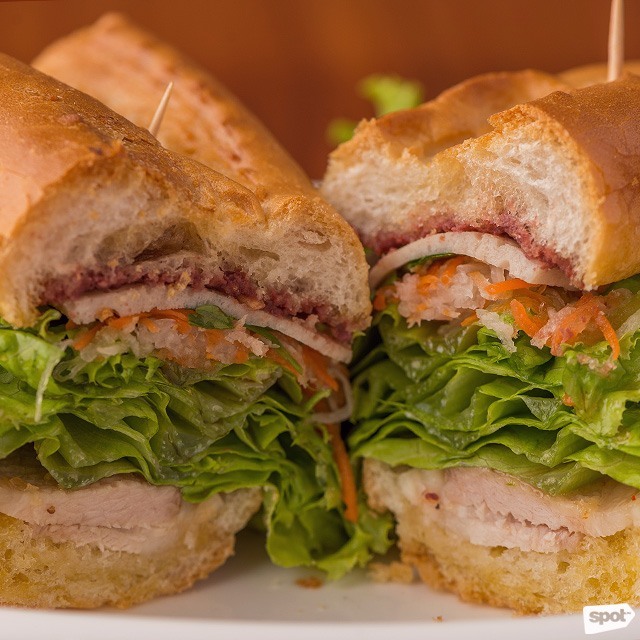 Though Bawai’s is rightfully known for their savory main dishes in family sizes, their banh mi is also worth a try, especially if you’re dining solo—an order will get you buttery baguette pieces stuffed with pork slices, pork-liver pate, and pickled vegetables for a savory-tangy flavor explosion. Bawai’s is at G/F Uptown Parade, Uptown Bonifacio. 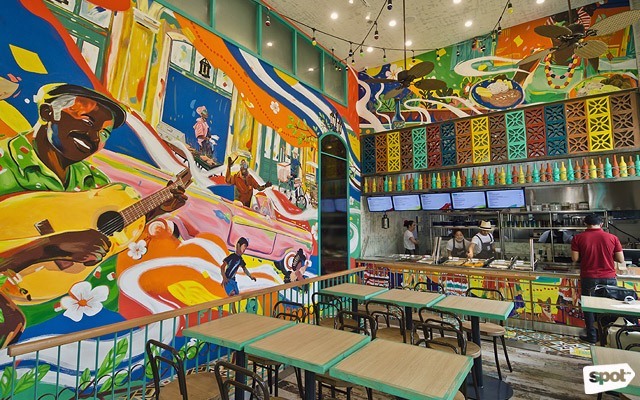 Though their vibrant murals are sure to catch your eyes, this super colorful restaurant in Serendra isn’t just eye-candy; they also offer Cuban fare that’s more than worth your buck. 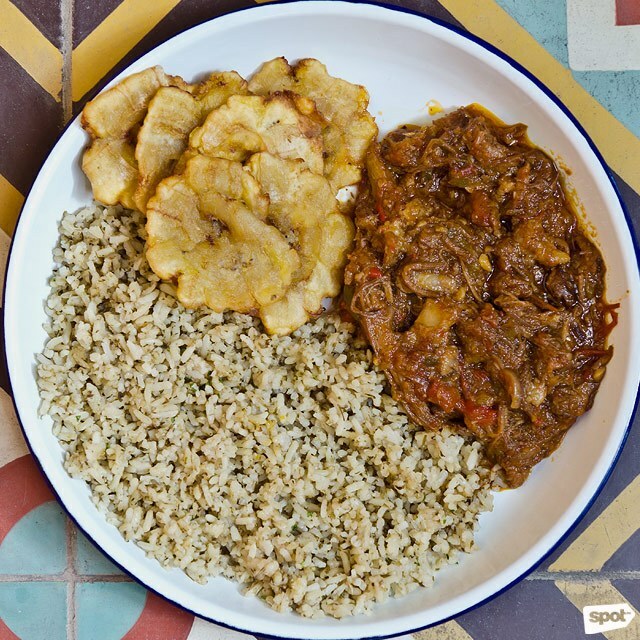 For less than P300, you can create your own plate from their menu of mains, sides, and different kinds of rice, all inspired by traditional eateries in Havana—we’re particularly fond of the Masitas De Puerco En Adobo, or adobo Cuban-style, with a light citrus note. Drop by Cuba Libre on your next night out, too; they offer cocktails like their namesake, the Cuba Libre, for only P99. French food still has a reputation for being intimidating, but La Mère Poulard is anything but. 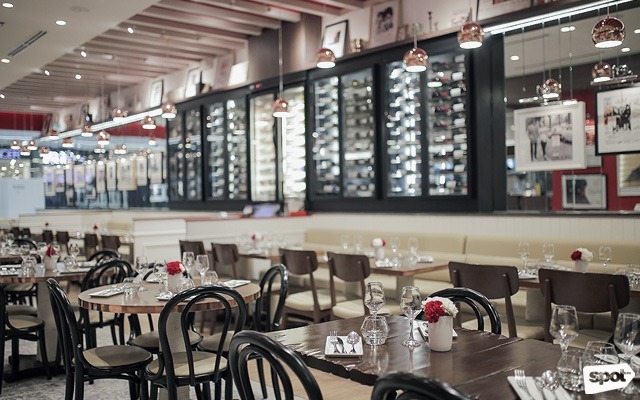 The French restaurant focuses on rustic, home-cooked fare with a focus on northwestern French cuisine. The star of the show here are the omelettes, possibly the fluffiest in the Metro. The golden clouds are huge, occupying half of a plate, and possess a buttery richness you won’t expect from something so light. 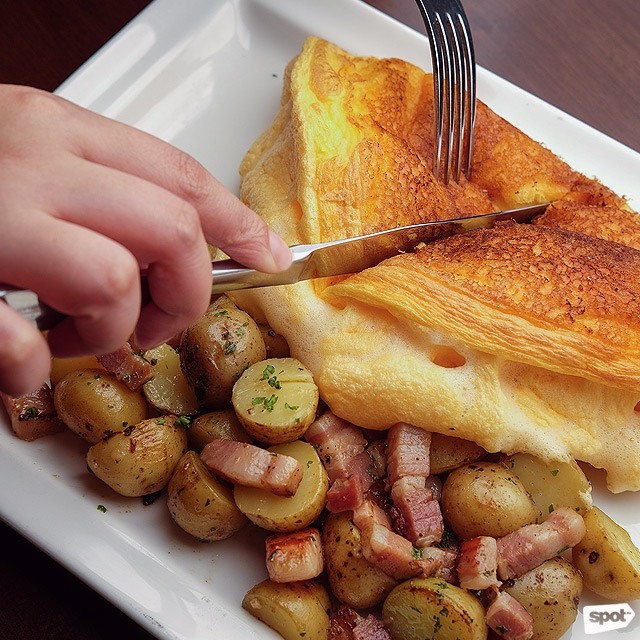 Have your omelettes with thick-cut bacon bits and marbled potatoes when you order the Bacon and Potato Omelette. La Mère Poulard is at G/F SM Aura Premier, Bonifacio Global City. 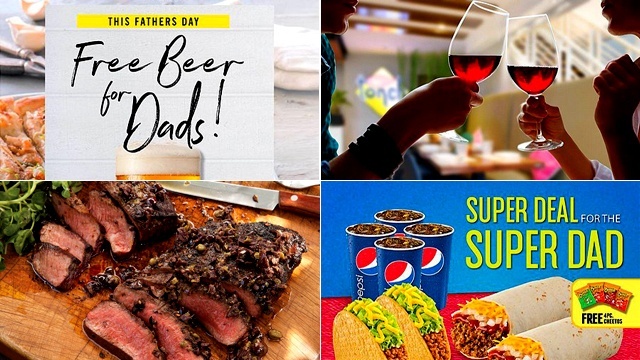 The combination of Korean and Mexican cuisines isn't something you hear often, but with all the things the two cuisines have in common—think grilled meat and lots of spices—the fusion actually makes a lot of sense. Still skeptical? A visit to Vatos Urban Tacos may just convince you. 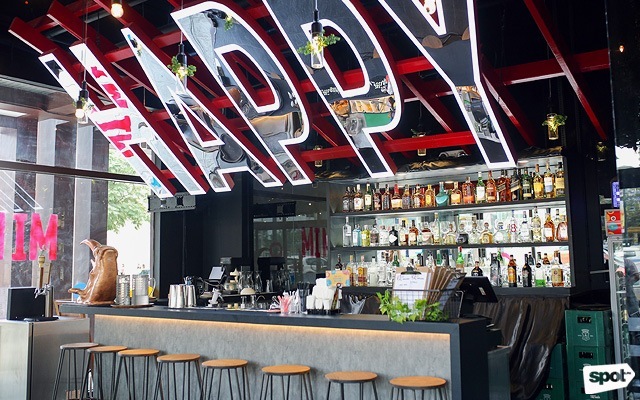 The Kor-Mex restaurant from Korea fuses Korean ingredients and flavors with classic Mexican fare; think kimchi over nachos or street tacos topped with pickled vegetables and bulgogi. 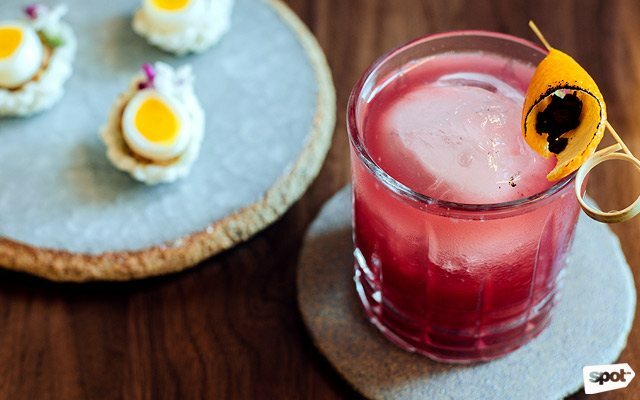 With vibrant flavors in a fun new form, Vatos is bound to make an impression. 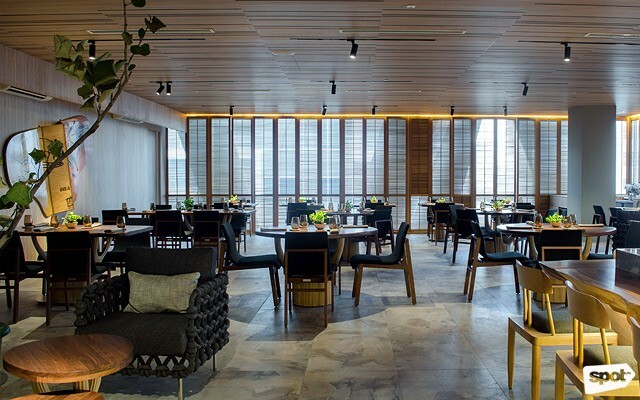 VASK Tapas Room and its fine-dining counterpart, Gallery VASK may have rebranded into Gallery By Chele, but you can still expect the same top-notch menu and service that landed them on Asia’s 50 Best Restaurants list for two straight years. 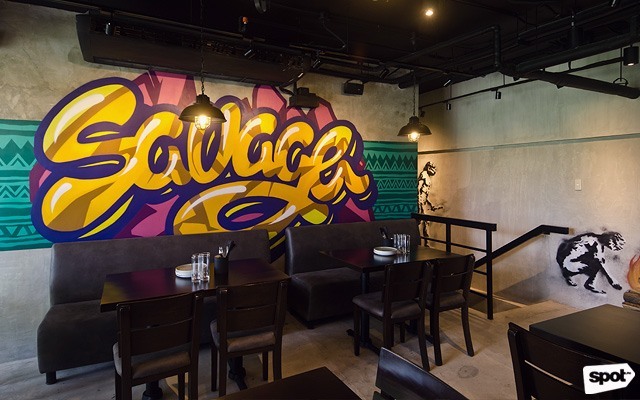 The ambience at the newly refurbished restaurant is more laid-back and casual, with Chef Luis “Chele” Gonzalez focusing on adding a modern flair to local ingredients. The best way to sample the new options is to order a degustation menu, which you can have in three, five, or eight courses. Though the wildly creative tapas can also be ordered a la carte—the Tomato Mochi, a cross between a mochi and a burrata, and the Breakfast Bites, Chef Chele’s take on the classic Filipino -silog with longganisa, quail egg, and a pinch of atchara are must-tries. Gallery By Chele is at 5/F CLIPP Center, 11 Street corner 39th Street, Bonifacio Global City.